Typical wallpaper you can see in older homes which haven't yet been renovated. As vintage and retro is trendy today it wouldn't surprise me if maybe you are sitting in a room with walls covered in a wallpaper similar to this one. It's a great pattern for websites and anything else you want to put some life to. Want to give your design a textile feeling? Then this set of woven patterns is perfect. Works great for website backgrounds or other graphical purposes. This pattern is very colorful and eye-catching. The background probably works best to use in designs where there aren't already a lot of colors as otherwise it might be too much. A romantic flowers pattern which can give your design a vintage feeling. This pattern really radiates old school. 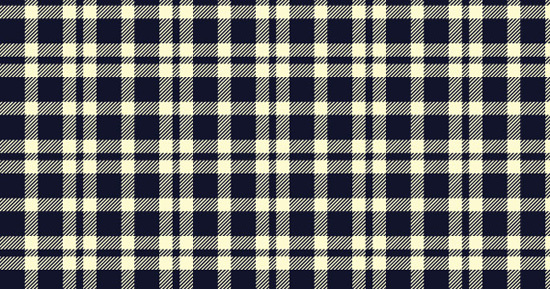 Kind of pattern you can see lumber jackets featuring. Gives a warm and cozy feeling of design. 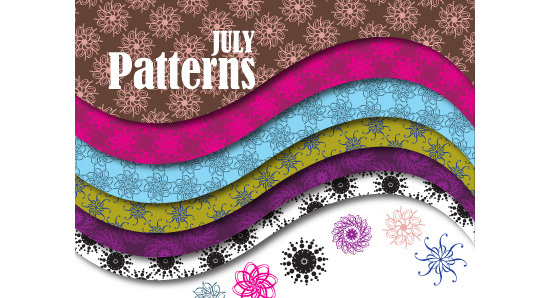 The dark brown seamless pattern creates a beautiful calm pattern design. The colored flowers are bright and joyful. What more is there to ask for? Overall a great pattern giving a happy first impression. 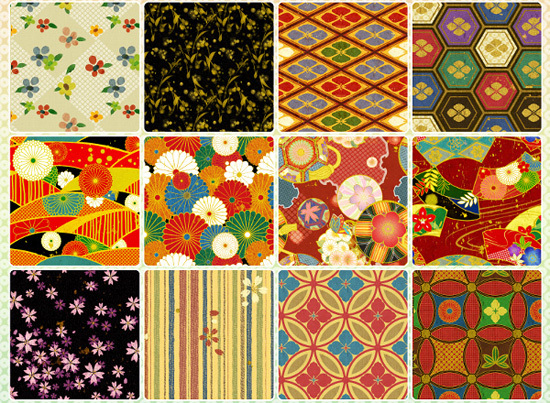 In this collection of patterns you will find 19 colorful patterns to use for your design projects. A simple and calm design but still eye-catching and enjoyable. 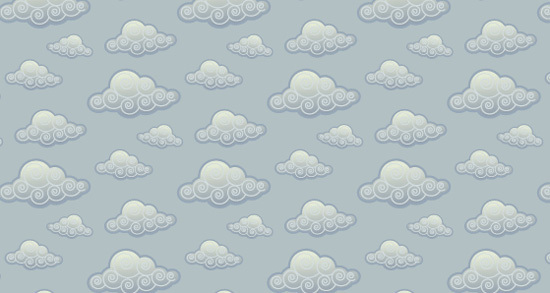 The white clouds and the light blue color come great togetherand would be perfect to use as a background for a website with an already light color scheme. This collection consists of 24 different tree patterns. All got different kind of colors and therefore it's a good chance you can find a pattern to fit your needs. 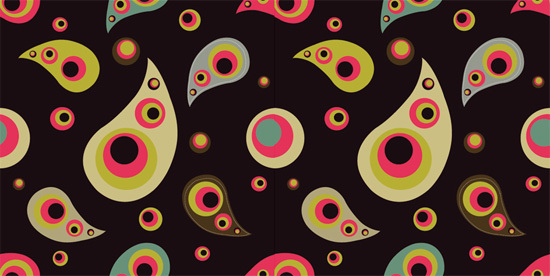 A beautiful abstract seamless pattern. Even though overall impression is quite dark because of its dark color tone used in the background of the patterns the lighter colors in the figures create an interesting and joyful pattern. 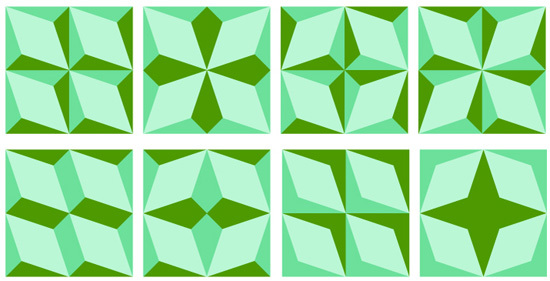 Several different patterns using the same cubic style and green colors. Brings your design to life, no doubt. This pattern comes in four different colors. Red, brown, green and yellow. 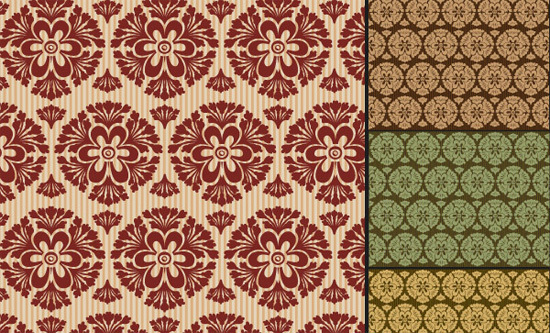 The pattern reminds us of wallpapers seen in older houses from the 19th century. Can be used both for web applications and fashion purposes. 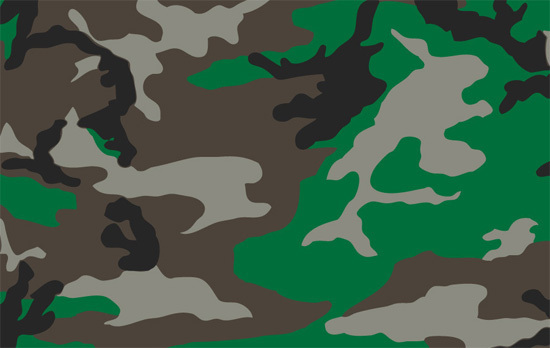 If you are looking to give your design an army feeling this high-quality pattern is the perfect way to go. A set of geometric patterns. Very trendy and nice-looking. The patterns radiate a retro feeling. Beautiful to use as a background for websites. Bright and interesting colors to put life in your design. 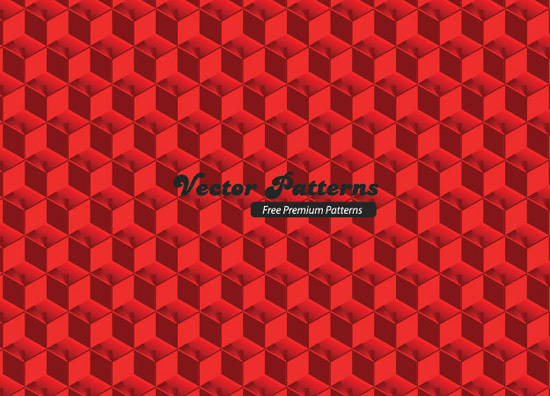 A red and cubic pattern created using Adobe Illustrator. Can be used for anything that needs some red. Calm and easy colors creating a beautiful set of patterns. Creating a poster or print advertisement of some kind? Hopefully this can come to use as a background. 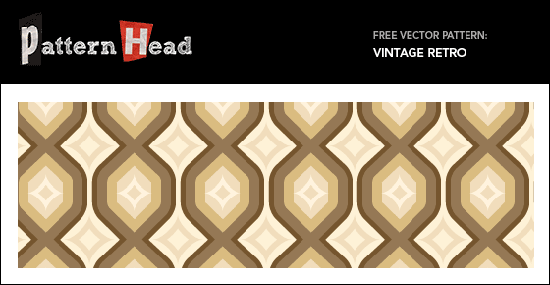 Amazing retro pattern using a brown and beige color scheme. Article written by John Zenkert. John is the creator of the Minecraft Server List. Besides managing his website he enjoys to spend time working in programs like Photoshop and Illustrator to design logotypes and other web elements.